Vermont lawyers are localized legal professionals who litigate on behalf of those facing legal problems in the state. Vermont lawyers, because of the breadth attached to the term, may practice or specialize in any area of law. Vermont lawyers employ an acute knowledge of local statutes; this familiarity breeds effective legal representation. Will I Need a Vermont Lawyer? If you face a legal problem in the state of Vermont it is strongly encouraged that you hire a legal professional who is licensed and experienced with regards to Vermont statutes. An understanding of local law and the state’s court system will promote efficacy in your legal filing. The location of your legal problem, along with the attached laws, is fundamental when assessing your need for a Vermont lawyer. That being said, if your legal quandary does not require litigation or the inclusion of a formal court, you should most definitely settle out court—bypassing the state’s court system will rid you of costly legal fees. However, if your matter necessitates a formal hearing, you must hire a Vermont specialist. The inclusion of a specialized Vermont lawyer promotes efficacy through the construction of a thorough defense or claim. You will invariably need a specialist to build the most effective claim. Vermont specialists are attorneys who practice within a precise scope of law. To hire a specialist, you need to first isolate the laws which surround your situation. For example, if you are involved in a car accident and are seeking compensation because of the other driver’s negligence, you must hire a Vermont car accident attorney. Because hiring a Vermont lawyer represents an important life decision, finding the right litigant is imperative. 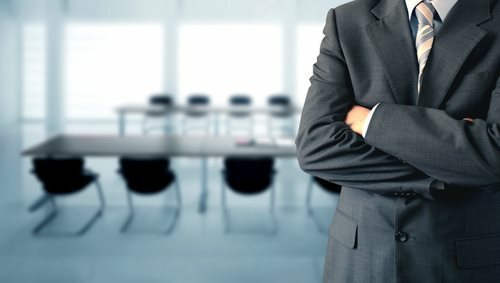 The process of hiring suitable representation is somewhat arduous; however, locating an experienced Vermont lawyer, will bolster your chances of securing a settlement or winning your case. •	After grasping the particulars and intricacies that frame your case, you should search the Internet for Vermont lawyers in your area. Use GOOGLE and other search engines to locate these legal professionals. Once you have amassed a list of Vermont lawyers in your area, you must cross-reference each individual to gather more information. •	Access the Vermont attorney referral service and the Vermont bar Association to ensure that each candidate is licensed and in good standing with the state. •	Access Internet forums and peer review services to illuminate the Vermont lawyer’s practice. These resources are peer-based to provide first-hand accounts regarding the lawyer’s effectiveness. •	After evaluating this information, access the lawyer’s website to view the individual’s profile. This page will offer details concerning the individual’s educational and case history. After gathering and subsequently evaluating the above information, you must refine your list to represent your top 3 choices. Contact these individuals to set-up consultations or preliminary meetings. The costs and availability of a consultation will vary depending on your particular case and the Vermont lawyer’s area field of practice. Frequently, Vermont civil lawyers—operating under contingency platforms--will offer free consultations to determine the probability of winning your case. (Vermont civil lawyers will only take cases they think will win). 1. Is the Vermont lawyer attentive? 2. Does the Vermont lawyer care about my situation and well-being? 3. Does the prospective Vermont lawyer make me feel comfortable? 4. Does the Vermont lawyer instill confidence that my case will be presided over in an efficient manner? 5. Can the Vermont lawyer explain my legal situation and the surrounding laws in a lucid manner? 6. Take note of the Vermont lawyer’s staff and/or firm. Frequently a Vermont lawyer will be flooded with casework, which prompts a delegation of work to respective staff members. 7. Is the Vermont’s lawyer’s staff courteous and professional? These evaluations, although necessary, are trumped by the individual’s experience. Contingency Fees: Under this fee arrangement, the Vermont lawyer will charge a percentage of a civil settlement. If a civil settlement is not attained, the Vermont lawyer will not charge a fee. That being said, you will still be required to satisfy court costs and other fees associated with your suit. Vermont lawyers operating under contingency fees will charge typically 30-40% of your settlement. Contingency fees are often applied in personal injury and property damage suits. Vermont lawyers are not allowed to litigate under a contingency arrangement in criminal cases. Flat Fees: Vermont lawyers operating under this fee arrangement will charge a flat, lump-sum fee. This schedule is typically applied to legal matters that are generic or straightforward. Hourly Rate: Under this schedule, a Vermont lawyer will charge hourly for services rendered. Retainer Fees: Under this fee arrangement, the Vermont lawyer will charge a set fee paid prior to the rendering of legal services. The retainer serves as a down payment against which future costs are billed. The retainer acts as a separate account; the cost of legal aid is subtracted from the account as services accrue.